It's no secret, the slow cooker saves the day, time after time, with simple weeknight dinners. These classic, top-rated Mexican recipes simmer slowly in the Crockpot while you're away at work or just being at your busy best. They'll be ready when you are. Chuck roast slow-cooks barbacoa-style with garlic, lime, and chipotle chile peppers. Shred it up, it's great for nachos, tacos, burritos, and more. "Similar to Chipotle's® barbacoa," says Jack Grigsby III. Chicken and chorizo sausage simmer low and slow with plenty of spices, jalapeno and chipotle peppers, garlic, and tomato sauce. 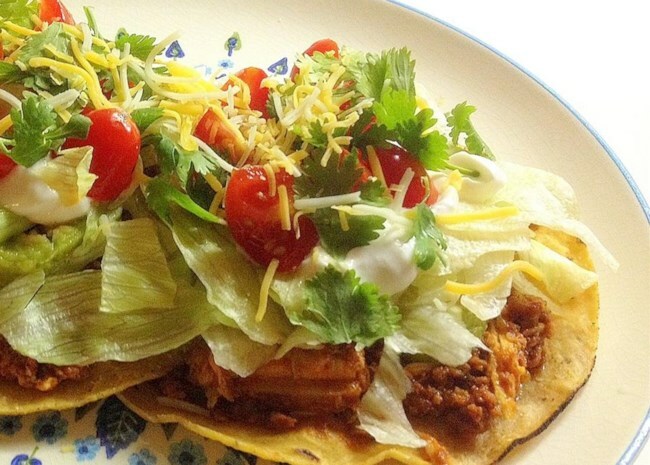 "A good friend of mine from Guadalajara inspired me to make my own version in the slow cooker," says angelosmommy. 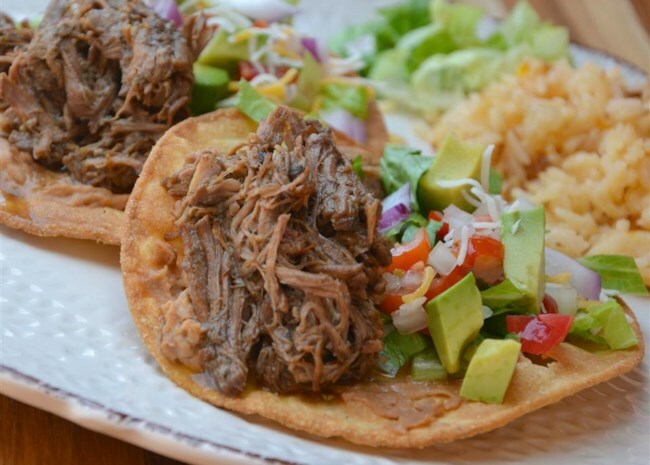 "Serve on tostada shells and garnish with chopped cilantro and onions." Chicken, corn, tomatoes, enchilada sauce, green chiles, and onions simmer with seasonings and chicken broth. "A tasty, quick, hot meal," says AMBERNPETTY. 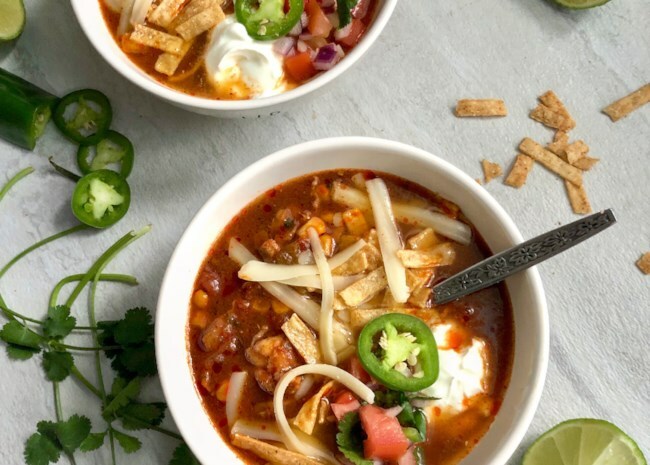 "We like to top the bowls of soup with crushed corn tortilla chips, shredded cheese or chopped green onions -- sometimes all three." Here's a dark, rich, complex flavored mole that cooks in the slow cooker. 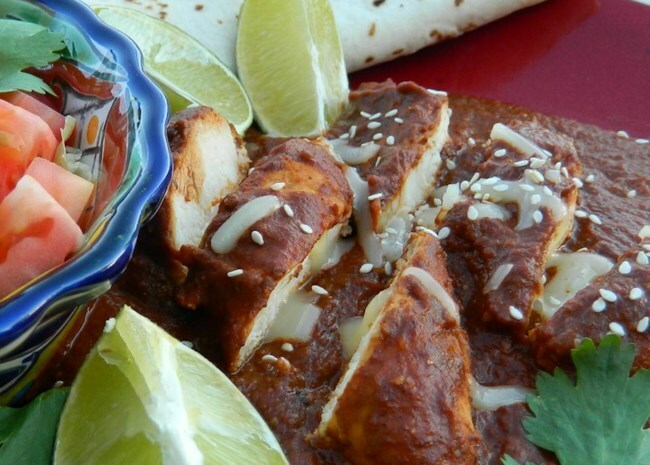 "I generally shred the chicken so it will soak up the mole sauce and serve it with warmed tortillas" says ELAINE05. "It is always a hit with those who like spicy foods. This recipe can be played with easily to tailor it to your own level of hotness and/or cocoa/peanut flavor." Pork shoulder mixes it up with green salsa, onion, cilantro, and serrano chile peppers. "A rich, spicy recipe for slow cooking pork," says andympls. "This makes for excellent tacos, enchiladas, etc. We crave this pork, and you will too." Chicken breasts simmer in salsa, garlic, onion, and spices. "I sometimes chop up a chipotle pepper and throw it in with some adobo sauce for a twist," says shmeya. "I don't measure spices, so my measurements are conservative." "Blazing hot peppers highlight this dish," says DarthsAuntie. 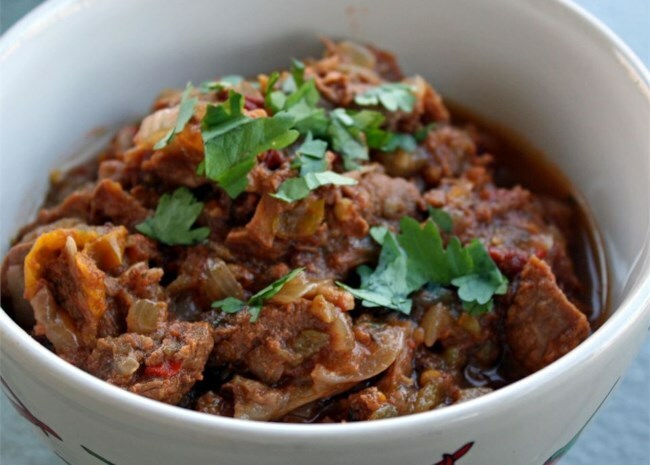 "Pork tenderloin is slow cooked with hot picante sauce and canned chipotle chili peppers. Start it in the morning for fiery pork burritos for dinner. I like to serve this with flour tortillas, black beans, shredded cheese, corn, and sour cream. If you are not a pork fan, substitute chicken breasts! " 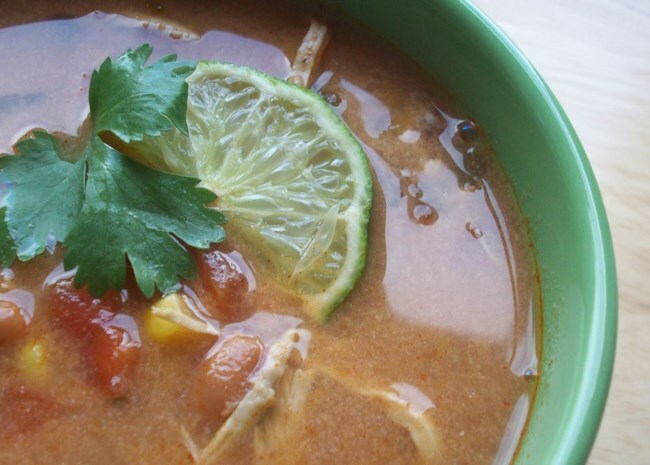 "This tortilla soup tastes better than anything you can get at a restaurant," says Elena. "And it's healthy too! Don't let the long list of ingredients fool you. All you do is dump everything into the slow cooker and walk away. Garnish with grated Cheddar, avocados, and a splash of fresh lime juice." 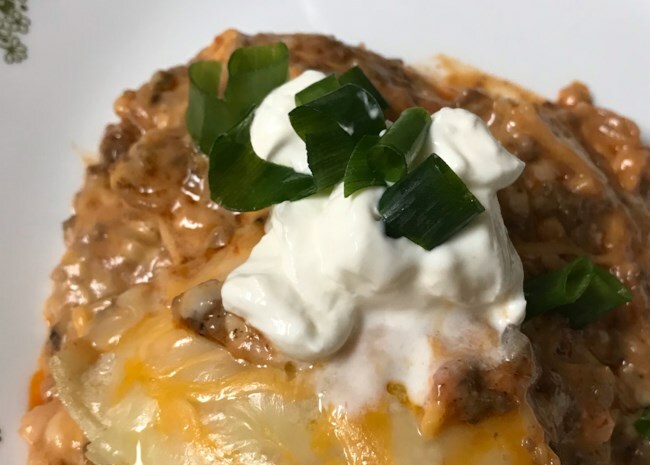 Seasoned ground beef, salsa, cream of mushroom and cream of chicken soup, cheese, and tortillas are layered into the slow cooker. "An old Mexican classic with a new twist," says AIMS312. "Anytime we have a potluck, I am asked to bring these. Can be made with chicken or beef." 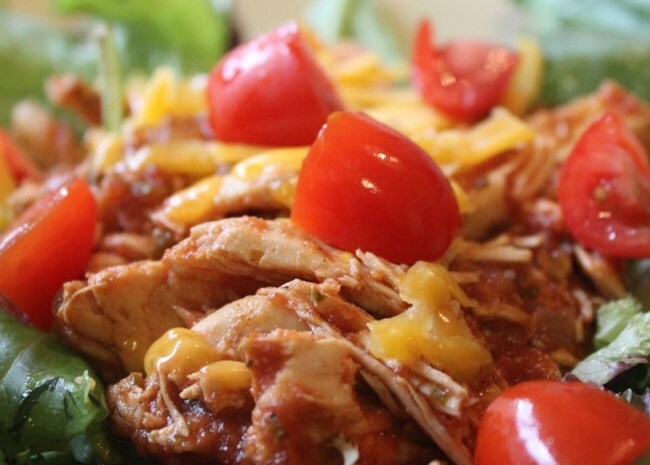 For the easiest shredded chicken ever, just throw three ingredients into your slow cooker and hit the ON button. In 6 to 8 hours, you'll have a pot of chicken for tacos, burritos, enchiladas, or taco salad. "My husband made this and it was fabulous! He added a can of rotel to the top of chicken in the crock pot. BEST chicken tacos I ever had," says Tiffany Eichstadt. 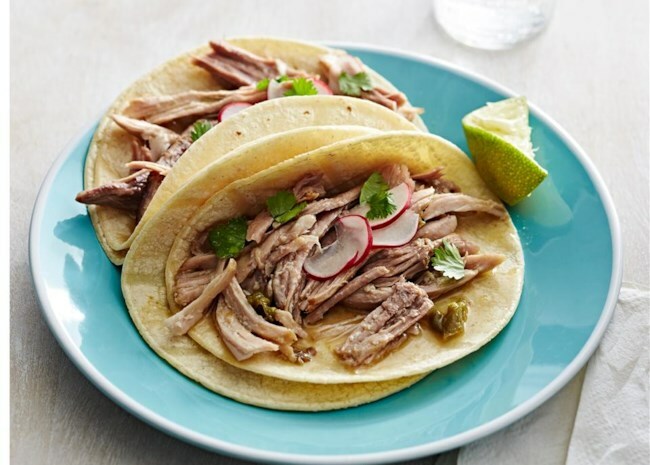 Check out our collection of Mexican Slow Cooker Recipes.